The skin performs the important job of protecting inner body organs apart from this utility; body skin also contributes to beauty and outer appearance of an individual. Every individual wants a clean and glowing skin as it magnifies the attractiveness and beauty of an individual. The healthy skin also implies the good health of an individual. To pamper your skin and get out of common problems, here are listed basic natural care remedies. Keep these health care tips in mind to add charm to your personality. Dirt, pollution and oily skin take away the charm and beauty of the face to maintain pinkness of your cheek; wash your face regularly with clean water. One can also go for herbal face wash or fruit face wash which are low in chemicals and does not create any harmful effects . Do not waste your money on buying harsh and expensive cosmetics products rather go for mild and scentless cleansing agent. Go for cleaning agents with moisturizing properties to clean the dead cells and to get fresh look instantly. Skin needs moisture to maintain its texture. Moisture retains the damage occurring on your skin due to UV rays. Pollution, rain and other harsh weather conditions also cause damage . Keep moisturizing after washing or bathing moisture it with light lotions. One can also go for natural herbs for skin care use honey packs; lemon and turmeric scrub clean the face. If you use makeup then it is advisable to remove it properly. Cleansing, toning and use of moisturizing cream are essential after removing the makeup. Take good care of your skin every night as good sleep will recover all the damage done to your skin. UV rays bring bad effects on your skin and to protect it use sunscreen lotion suggested by a dermatologist. This will help to avoid the damage and allergies on the skin. 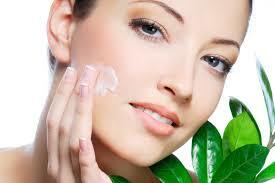 This cream is Anti-Wrinkle Herbal Cream which is 100% Pure Herbal Ayurvedic formulation which offer great healing. Use this herbal product as suggested by your dermatologist or message on your face twice a day. With this anti-Wrinkle cream, make necessary changes in your diet, eat fresh fruits and vegetables. Make necessary changes in your diet, avoid oily and junk food and also do meditation and yoga to reduce stress as these factors also harm the beauty. ← Is honey the best Ayurvedic Cough Syrup? I read whole blog and want to say it is really quality information. Gee whiz, and I throughout this would be hard to find out.